The Hand Held 3820 has been renamed to the Honeywell 3820. 3820's host-powered interface and RF link extends mobile capabilities by drawing power from a portable device for radio and host communications. Ideal for light industrial mobile applications, the 3820 features Bluetooth wireless communications for freedom of movement in retail, warehouse and distribution. Advanced Wireless Communications - Bluetooth v1.2 radio enables movement up to 33 feet (10m) from the base while its Adaptive Frequency Hopping (AFH) feature eliminates interference with other wireless systems. 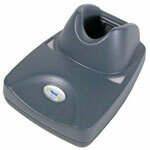 Super-Compact Design - Small footprint enables hands-free presentation scanning when docked in the base. Innovative Battery Technology - Field-replaceable lithium-ion battery enables up to 57,000 reads per full charge. 3820, PS/2 kit, White. Includes communication/charging base, PS/2 cable, US power supply and manual. 3820, Scanner Only, White. Cradle, cables, and accessories are not included and must be purchased separately. 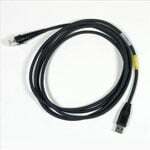 These include USB (Part# 42206161-01E), PS/2 (Part# 42206132-02E), or RS-232 Serial cables (Part# 42206422-01E), Power supply (Part# PS9U-21E) and either Charging/Communications (Part# 2020-5BE) or Charging-only cradles (Part# 2020-CB-AE). 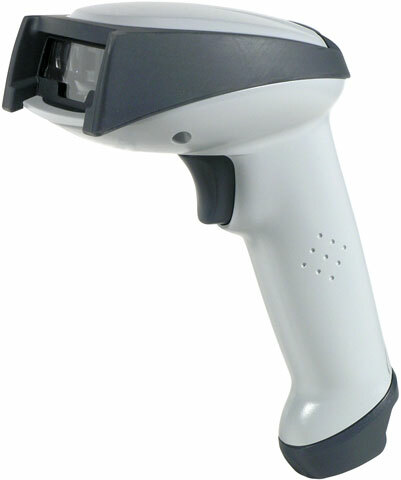 3820, Scanner kit (No cables included), White. Includes communication/charging cradle, No cable, US power supply and manual. Cable must be purchased separately. High-Performance Linear Scanning: Fast performance and broad read range for ease of use in a variety of linear applications. Effective Wireless Connectivity: Enables movement up to 33 feet (10m) from the base while its Adaptive Frequency Hopping (AFH) feature eliminates interference with other wireless systems. Extended Battery Life for Dependable Use: Field-replaceable lithium-ion battery enables up to 57,000 reads per full charge. Light-Industrial Durability: Built for reliability in light-industrial environments including retail, healthcare and manufacturing. Multi-Bay Battery Charger: Fully charges up to four lithium-ion batteries in approximately 4.5 hours, maximizing uptime in any application. Specialization Options: FIPS 140-2 Certified Encryption: Federal Information Processing Standards (FIPS) certified for wireless data transmission, meeting advanced US Government security requirements, and providing enhanced security in any application involving sensitive data.